46" RHINO Octagonal Thermoplastic Picnic Table with Portable Frame, 246 lbs. 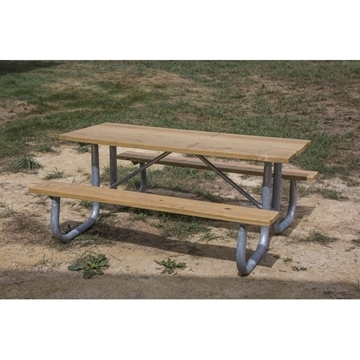 36" Square Concrete Picnic Table with Bolted Frame, 1100 Lbs. 6 Ft. RHINO Rectangular Thermoplastic Picnic Table with Portable Frame, 218 lbs. 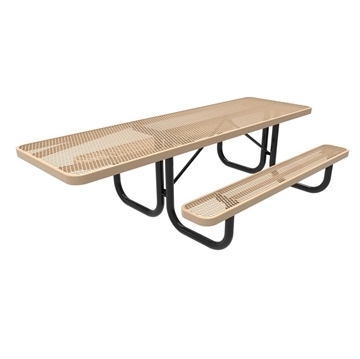 8 Ft. RHINO ADA Accessible Rectangular Thermoplastic Picnic Table with Portable Frame, 231 lbs. 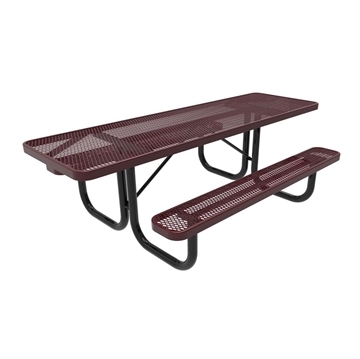 8 Ft. RHINO ADA Accessible Thermoplastic Dual Access Picnic Table with Portable Frame, 230 lbs. 46" RHINO Square Thermoplastic Picnic Table with Portable Frame, 257 lbs. 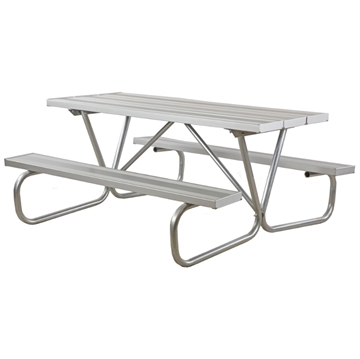 Picnic tables for schools for sale make school picnic tables for outdoor school dining and other school picnic activities number one with schools. Picnic Tables come in all sizes, materials, and colors making our school picnic tables a popular selection. We are members of the National School Supply and Equipment Association supporting quality and value products to our nation's schools. 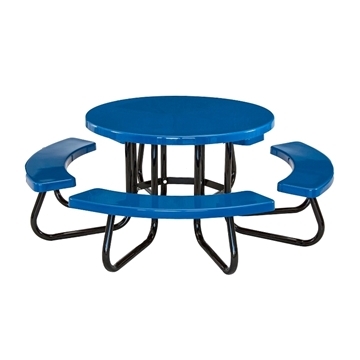 Our selection of school picnic tables includes round picnic tables, traditional rectangular tables, and square picnic tables. Round and square shaped picnic tables encourage social interaction and comfortably seat 8 adults.